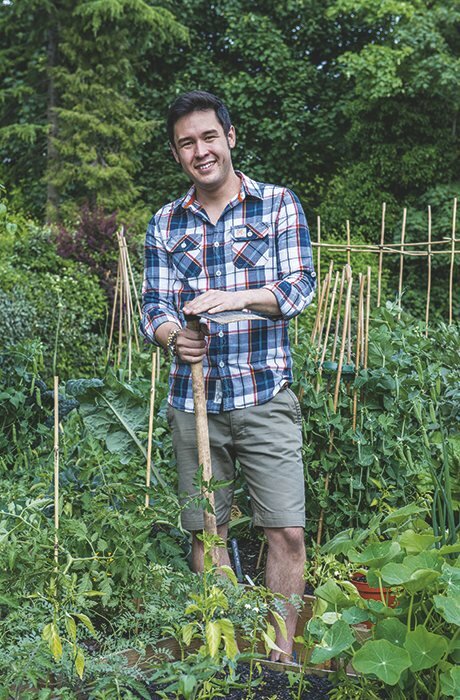 There’s little chance of anyone coming across James Wong‘s front garden by accident. But if they do, there’s even less chance of them missing it. 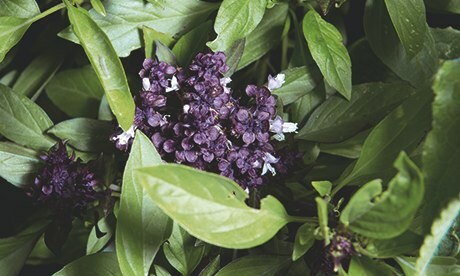 Down a no-through-road in south Croydon punctuated by well-kept lawns, tidy flowerbeds and clipped hedges, there’s a small plot packed with plants that even the keenest gardener would struggle to recognise. Strictly speaking, it’s not Wong’s garden, it’s his mum’s, but she’s happy to let him do as he likes with it because, “It saves her the bother of mowing the grass.” Wong lives in central London – “to be near the pretentious wine bars” – and comes down to Croydon twice a week to sow, weed and prune his plants. And to eat them: finding new plants to eat is his passion. 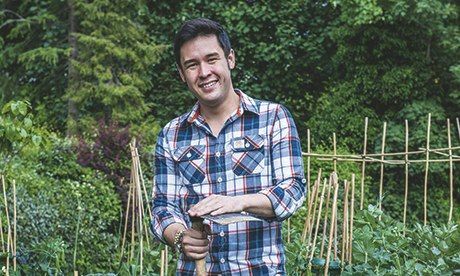 Wong, a botanist by training, made a name for himself as the presenter of Grow Your Own Drugs, a TV programme about herbal remedies, and has since appeared on Gardeners’ World and Countryfile, as well as becoming the Gardeners’ Question Time expert on exotics. His philosophy is easily summed up: “Why bother to grow something everyone else is growing when there are so many other untried varieties?” He was brought up in Singapore and Malaysia, and initially experimented with ornamental tropical plants that few realised could be grown in colder climates, but his focus shifted after the Royal Horticultural Society invited him to give a talk on growing berries. “I started preparing the night before,” he laughs, “and started panicking when I typed ‘growing berries’ into Google and got 400,000 hits. What could I possibly tell an audience of keen berry growers that they didn’t already know? So I started thinking about why so much horticultural training is directed towards the culture of the same 20 edible plants, rather than the 3,000 and more that you can grow. Was there a reason this stuff wasn’t being grown, other than force of habit? 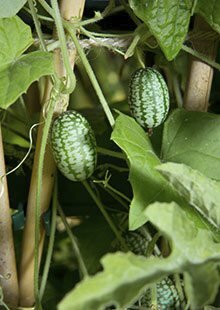 “They’re a bit like a cross between a cape gooseberry and a tomato. They’re used a lot in Mexican food and I’ve only ever seen them in a spice shop in west London for £2 each. I can get a couple of kilos off each plant. Here, try one.” I do. It’s rather good. Wong talks me through some of his other crops. The Sichuan pepper: “Don’t grow them for the seed pods; grow them for the early spring leaves that are like a Thai green curry paste.” The cucamelon: “Tastes like a cucumber, but is far easier to grow and sells for £12.99 a punnet in posh delis.” Asian pears: “Crisper and more fragrant than European pears.” Hardy kiwi fruit with no fur and twice the sweetness. 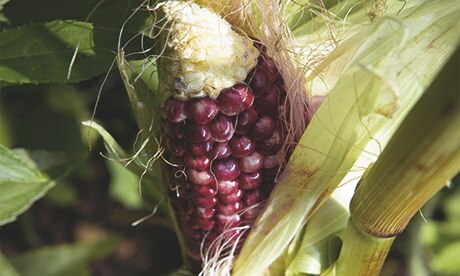 Pineapple guava, asparagus peas, blood-red sweetcorn, Thai basil… it goes on.